Rotten Tomatoes picks 'The Young Offenders' as one of the 21 best Irish films of All Time! 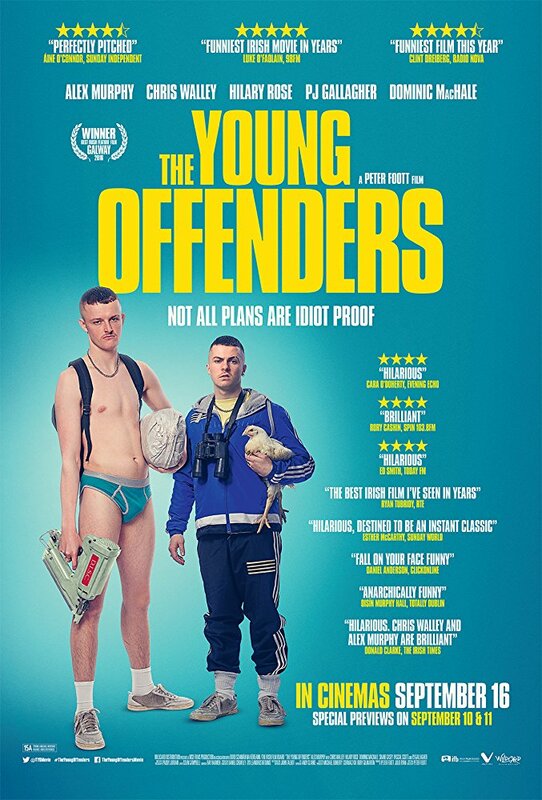 Rotten Tomatoes recently compiled a list of the 21 Best Irish films, with 'The Young Offenders' coming in at #2 (it was one of only five films to score 100%). Read all about it here. 'The Young Offenders' TV series to premiere on BBC 3 on Feb. 1st! A huge round of 'Congrats' are in order for 'The Young Offenders' which received a total of 7 nominations for the 2017 IFTA Awards. Nominations include Best Film, Best Director & Best Script for Peter Foott, Best Actor for Alex Murphy, Supporting Actor nominations for Hillary Rose & Chris Walley and Best Editing. Read more here.